Manufacturing industrial 3D printing equipment is no easy task, and requires the proper design and development before production can even begin. Advanced CAD tools, such as SOLIDWORKS, make it possible to rapidly develop complex designs to advance the state of the art in 3D printing. Take Cosine Additive as a case in point. 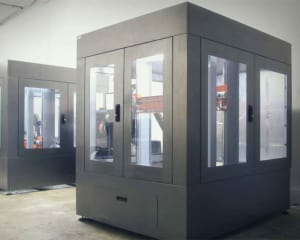 This start-up was able to design a large-scale industrial 3D printer in a short period of time through the use of SOLIDWORKS.